Toshiba L50-B-1N8 15.6 inch Gaming Laptop Intel Core i3 4005U 16 GB RAM 1 TB HDD. Toshiba always tries its best to give you a gaming experience which you never had before. 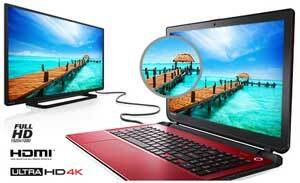 This gaming laptop also has some amazing features which will allow you to use your gaming powers at their full extent. With its light weight and slim profile you can take it everywhere with you. 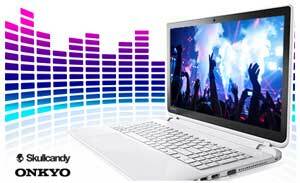 The laptop's SkullCandy tuned speakers combined with DTS Sound audio make your gaming even better by delivering immersive sound. It is super slim and super light in design as it weighs only 2.2kgs and is only 23nm thick. With its slim and easy to carry design you can take your entertainment with you everywhere. 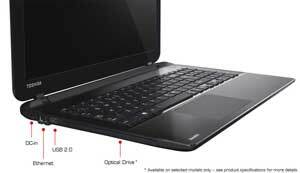 Its frameless keyboard and large touchpad adds in your comfort and convenience. It is designed not only to look stylish but to perform as well. 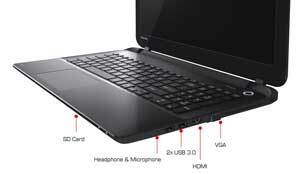 With its Intel or AMD processors you get high performance and easy access of everything. 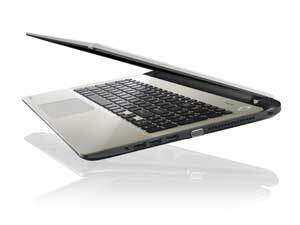 Low power consumption processors, housed in a thin design, makes Toshiba L50 more portable. With storage capacity of 1TB you will never have to face any storage problems. Toshiba L50 works best with Microsoft Window 8.1. You can put your important files and data on the start screen for easy access. It gives you instant access of your applications and files so you dont have to waste time for searching. The fast and intuitive design of Windows 8.1 suits best with Toshibas all in one laptops.